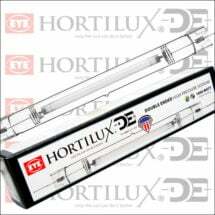 Grow your most successful indoor crops ever with MAXPAR Double Ended (DE) High Pressure Sodium Lamps. They produce more light for the same power use as standard HPS systems, so you’ll save big $$$ while improving your crop. • Offers a more intense light for increased yields — 10% or more! 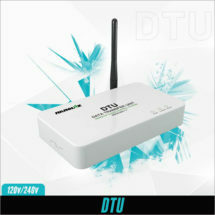 • 2000K spectral range — perfect for dense flowers! 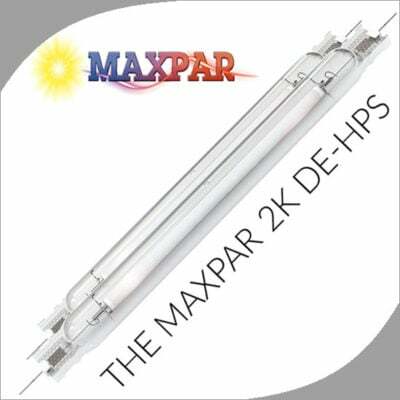 600W 2K DE-HPS – Offers greater energy efficiency showing a positive return on investment within a few months. 1000W 2K DE-HPS – A bestseller! 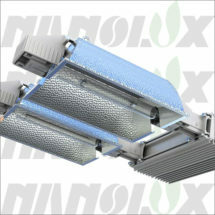 Delivers high-intensity, supplemental lighting in commercial crop production. DE bulbs retain 90% of their efficiency after 10,000 hours of use, saving you time and money.